Suppose you plan to go to a city you've never been to, and you're wondering what railfan opportunities might be there. How do you find out? In my job I travel now and then, to places I've been before as well as new places. I'm always on the lookout for railfan opportunities in the evenings and I've developed some techniques I want to share with you. Let's suppose I'm going to, oh, Slate Hill, NY. 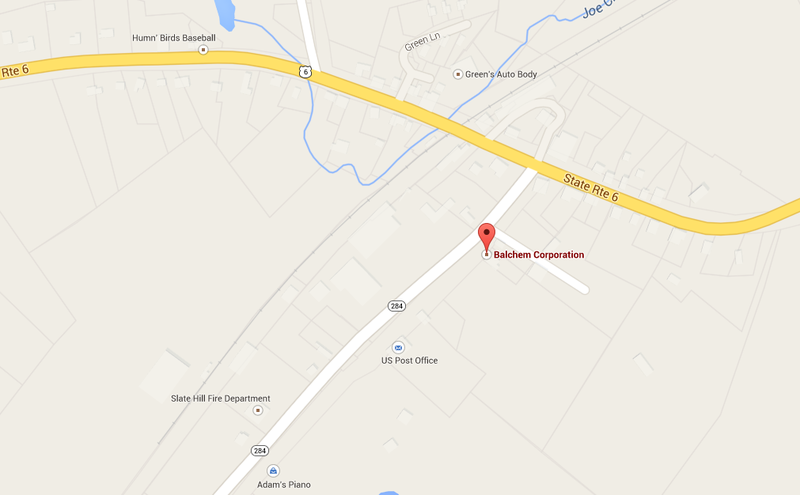 I've never been there but suppose I have to go to, oh, Balchem Industrial Products. What do I do? Hey, a rail spur! Cool. Let's follow that back and see where it goes. It ends up in Middletown, NY. Try dropping to Street View at a crossing to see what railroad it is. What you want to do is look for the box controlling the grade crossing signals and try to read the sticker on it. In this case it didn't help. Just a DOT crossing number. However the use of crossbucks instead of lights is a hint that it is a low traffic line. I kept dropping the Street View guy at each crossing until I hit the jackpot at Main Street. A quick google unearths the Middletown and New Jersey LLC web page. The web page says they have reporting marks MNJ, they have 3 locomotives and 43 miles of track, and they interchange with Norfolk Southern in Middletown (!) and Campbell Hall, NY, and with NYSW [New York, Susquehanna and Western] at Warwick, NY. 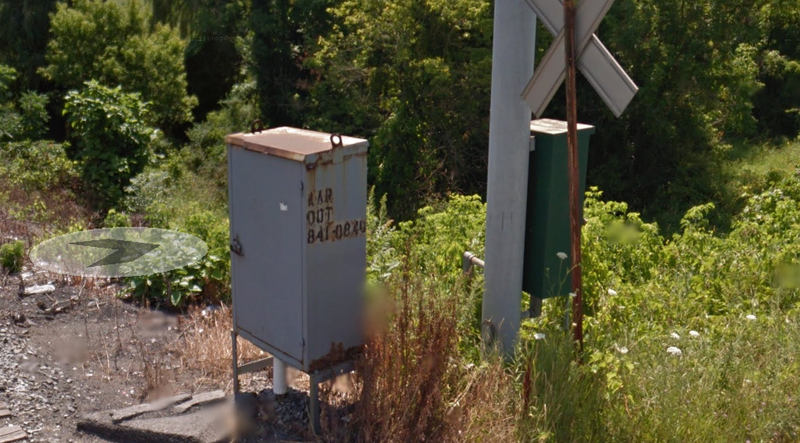 I could have just googled "Middletown New York Railroad" and found the same thing, but by doing a map search / Street View I get a feel for the area. You can search Amtrak or VIA Rail (depending on country, of course) to determine if there are any passenger trains in the vicinity. I zoomed out a bit on the Google Map and looked in Amtrak's station list for New York state, but there was nothing there that matched. I then looked at Amtrak's Northeast train routes and saw that they didn't come close to Middletown. So... maybe no passenger service. But... one last search for "New York Passenger Trains" turned up Metro-North Railroad. Hmmm, north, maybe.. check out the map. It turns out that Middletown is on the Jervis Line. A lot of clicking around leads to this schedule for NJ Transit. It looks like there are over a dozen trains a weekday each way! Very cool! Another way to check out a location is to do an image search. Try Googling "Middletown NY trains" and then click on the Image tab. I saw a lot of images of an old three-story train station. It turns out this is a former Ontario and Western station, damaged by fire but apparently under consideration for renovation in 2013. You can see it on Street View. Finally I will visit Railpictures.net and RRPictureArchives to see if there are any railway photos taken in the area. A quick search on RP shows 4 photos for the Middletown and New Jersey Railroad with a colourful blue and yellow GP9. Norfolk Southern and other local shortlines also show up, revealing more railfan possibilities. Sadly this photo confirms there are no trains on the Slate Hill line any more. RRPA is a bit slow but you can zoom right in on a particular location using their location search. They have a lot of photos in Middletown. That sounds like lots of things to investigate in the evenings after work! We Canadians have a great resource in the Canadian Trackside Guide. When going to a new location, I always check out the CTG. The second chapter lists all industrial locomotives so I can scout those out. The third chapter lists all railway equipment on display. Near the back are lists of railway subdivisions so one can scout locations that way, too. It's just a gem. This tool is helpful - highlights rail lines, and includes posted photos of the area.